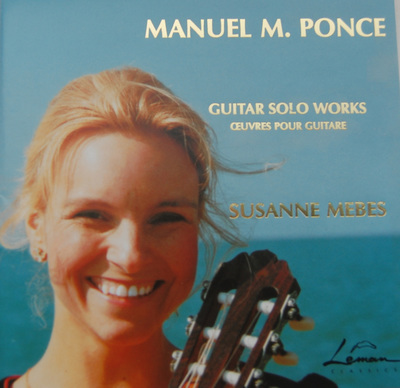 Dutch guitarist SUSANNE MEBES, born in Germany, studied at the Royal Conservatory at The Hague, Netherlands, with Antonio Pereira Arias and Toyohiko Satoh, and has since given many concerts all over Europe as well as in Japan. Solo recitals include appearances in London (Purcell Room, Barbican Baroque Festival, Wigmore Gala for Mexico, Wigmore Hall Hommage to Andrés Segovia), the Concertgebouw Amsterdam, Stockholm, Brussels, Paris, Milan, Geneva and Tokyo. She has performed as a soloist with a.o. the Rotterdam Philharmonic Orchestra, Netherlands Radio Chamber Orchestra, Orchestre de Chambre de Lausanne, Orchestra della Radio della Svizzera Italiana, Orchestre de la Suisse Romande and the LSCO, Queen Elizabeth Hall, London. 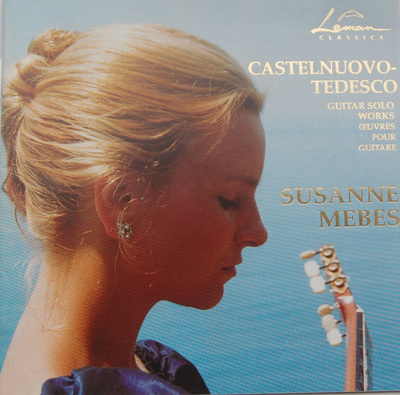 Among others, Swiss composer Jost Meier wrote 'Concertino' for guitar, violoncello and strings for her, Brazilian composer Marlos Nobre wrote 'Rememorias' for guitar solo for her. 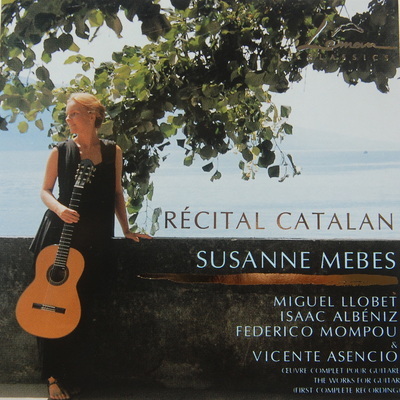 She also gave the World Premiere of the Guitar Concerto written for her by Swiss composer Norbert Moret with the Orchestre de Chambre de Lausanne conducted by Jesus Lopez Cobos. 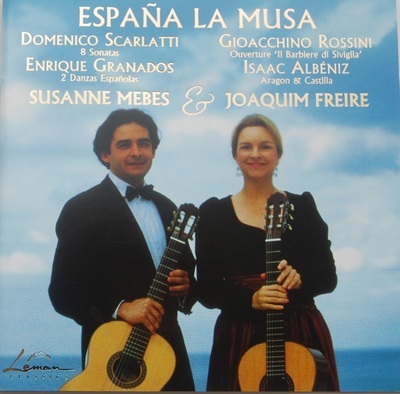 Additionally to their individual careers as soloists, SUSANNE MEBES and JOAQUIM FREIRE also enjoy very much since several years playing duo programmes together. Apart from their solo CD recordings for Léman Classics, their first recording as a duo, 'Fugas y Fandangos', has won one of the prestigious 'Cannes Classical Awards' attributed to the most outstanding releases worldwide.